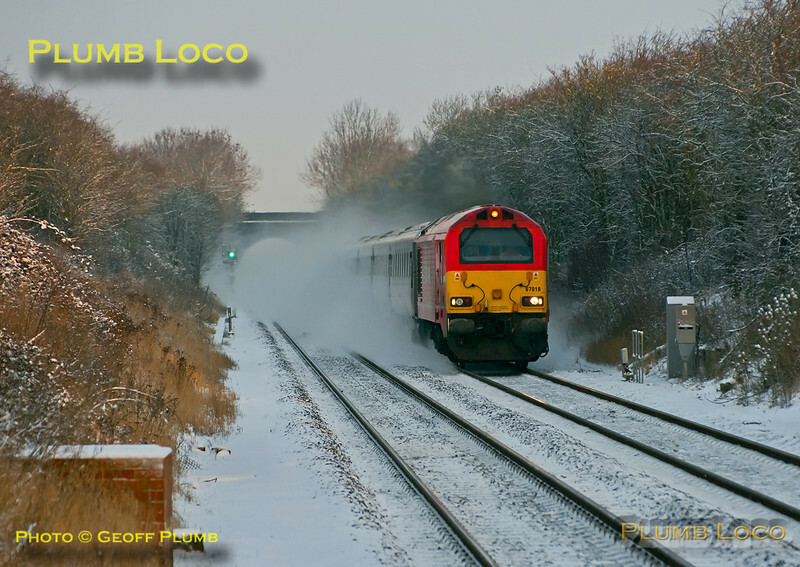 As with the previous non-stop loco hauled train, much of this one is also obscured by the snow cloud thrown up by the 100mph passage of 67018 "Keith Heller" with 1F91, the 06:55 from Birmingham Moor Street to Marylebone express. It is approaching Haddenham station at 07:54, a few minutes late on the snowy morning of Friday 10th February 2012. Digital Image No. GMPI10982.